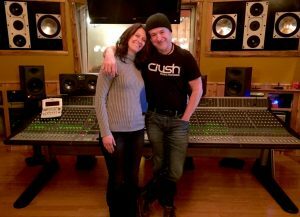 David and Anna Bourgeois began their business in 1998 with a focus on audio recording and production and professional communication training. White Lake Music & Post, and its affiliate, Creative Voice Development Group, had grown steadily for over 10 years when in 2010 they exceeded the capacity of their existing space and could not accommodate additional business for their clients. After identifying a property in Colonie that would allow for adequate business expansion, the company needed additional funding to supplement the first mortgage financing lined up with a local bank. The Al Tech Fund approved their request for an additional loan to finance both the necessary renovations at the property and the newly installed state-of-the-art audio equipment. 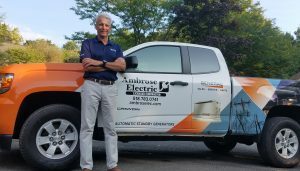 As an electrical services contractor with over 30 years of experience in the residential and commercial market, Ambrose Electric was in the midst of a leadership and ownership transition back in 2013. Current owner Bob Desormeau had negotiated a contract to acquire the business and needed to raise the necessary funding to complete the transaction to ensure continued operations. After securing some credit from a local bank, Mr. Desormeau still needed additional financing to complete the terms of the purchase contract. Using the Al Tech Loan Fund, he was able to satisfy all of the terms of the contract and take over operations. Now more than 5 years since acquiring Ambrose Electric, the new owner has steered the business toward significant growth and has increased the local workforce to 23 full-time employees. The company has grown to become the area’s only premier level dealer for Generac whole-house generators while continuing to remain a trusted commercial electrician to businesses throughout the Capital Region. For more information on the Al Tech Loan Fund, contact John Skrobela | 518.431.1423.